As a student at Southeastern Regional Vocational Technical High School, Tom O’Neill was looking to break into the clean energy world. Since he was going to a vocational school he was looking for programs where he could gain technical skills that would help him get the necessary experience that would lead to a good career. Tom’s search lead him to the Workforce Capacity Program, funded by Massachusetts Clean Energy Center. It exposed Tom to the technical skills and career advice that he was seeking. This was his first introduction to the clean energy world that would become a large part of his life. The Workforce Capacity Program contained academic and vocational experiences that focused on sustainability. Tom learned about concepts such as water conservation and green building techniques, construction waste management, and photovoltaic systems. Tom was intrigued by the concept of the triple bottom line: the idea that the environment, economy, and people are all interconnected. Tom graduated from high school in 2012. To further his career, Mr. O’Neill decided to continue his learning at a higher education institution. He obtained his Bachelor of Applied Science in Environmental Sustainability from Philadelphia University, now known as Jefferson. After graduation, he enrolled at the University of Massachusetts, Amherst to continue his higher education in clean energy. While working towards his master’s degree in Sustainability Science, Tom again connected with Massachusetts Clean Energy Center where he took the opportunity to participate in the MassCEC’s Internship Program. This program funds internships at Massachusetts clean energy and water innovation companies and provides an online portal where employers can discover qualified students who are seeking these internships. During the time in his graduate program, Tom had the opportunity to be part of two internship sessions where he worked with clean energy employers. This experience helped him further explore his varied interest in sustainability while gaining valuable skills applicable to his future career. In the summer of 2018, Mr. O’Neill accepted a community outreach fellowship with Resonant Energy. This company worked to bring accessible solar energy to communities that don’t have abundant opportunities to secure clean energy. Tom’s function at Resonant Energy was developing partnerships between his host company and small businesses, nonprofits, and houses of worship. Through his position, Tom gained experience in working with many qualified individuals from the clean energy industry. 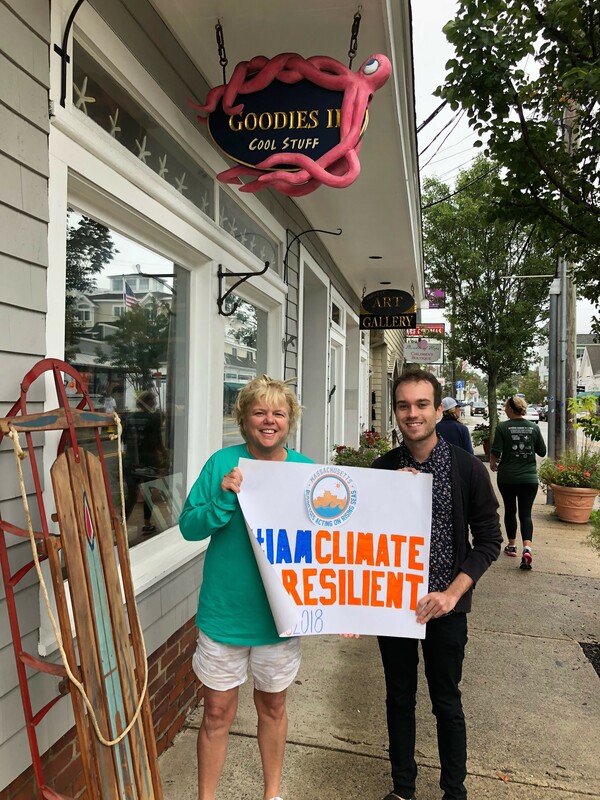 By the fall of 2018, Mr. O’Neill was finishing his master’s degree and was employed as a climate resiliency fellow at the Climate Action Business Association. He again operated largely in an outreach role, working with local business leaders to create more sustainable companies. However, in his new position he was also helping draft reports on the sustainability of the businesses that worked with his company. This gave him exposure to independent research pertaining to clean energy. The work greatly deepened Tom’s interest in becoming a sustainability planner. In discussing positions he’d be interested in pursuing post-graduation, Mr. O’Neill expressed that he “really like[d] the intersection of outreach and independent research” that he became involved with through his internship with the Climate Action Business Association. Post-graduation, he is hoping to find a job that fulfills this passion. We are proud of his bright future, and encourage him and other upcoming graduates to use MassCEC’s jobs board to keep a lookout for jobs in the clean energy sector!